We booked about 2 months out for 22,000 Hyatt Gold Passport Points transferred from Chase at a 1:1 ratio. Since then, however, this property has gone up to 30k points/night, but it’s generally still an awesome value. 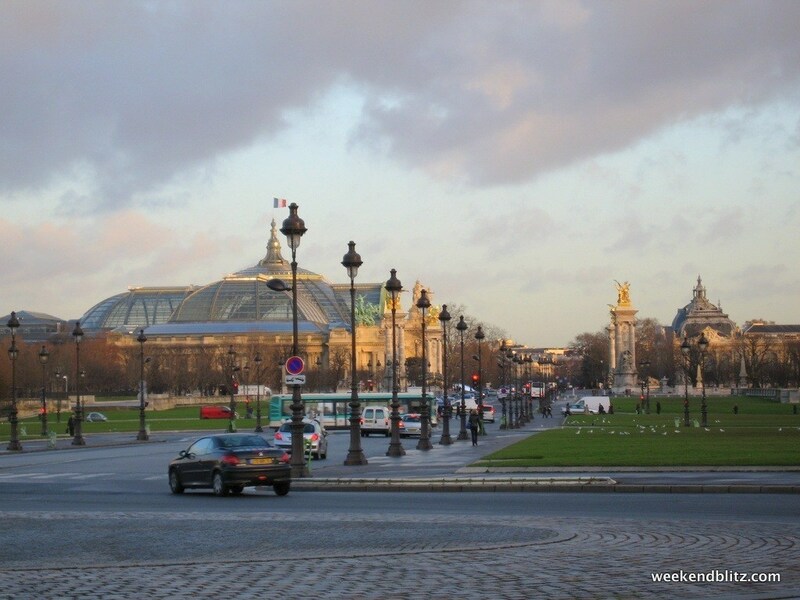 At the time of my booking, rates were near 850€ (or ~$1,111) for a “Park Queen” room, so we squeezed a return of ~5 cents/Chase point ($1,111 ÷ 22k)– a pretty amazing return. 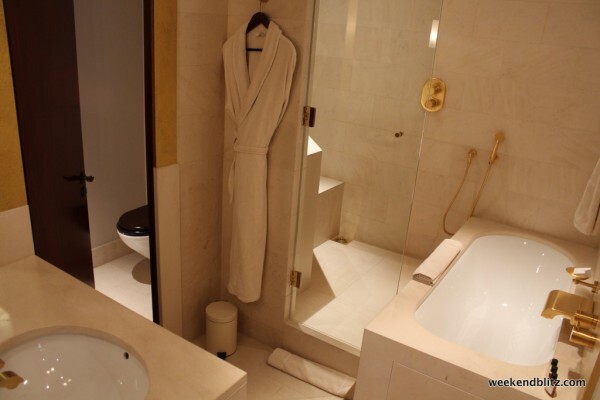 That being said, I would have never forked over $1,000+ for a 1-night stay in a Parisian hotel but, with it being a special occasion, I was quite happy with the booking. 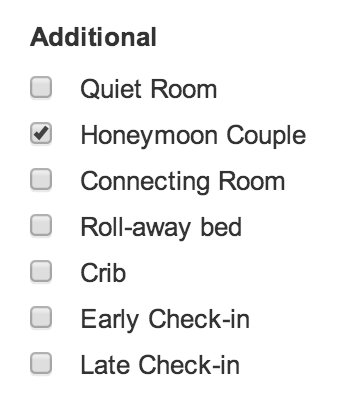 At the time of booking, I checked “Honeymoon Couple” under the additional requests area. I was pretty sure it wasn’t going to get us anywhere but, hey, it’s worth a shot. Another thing I tried on this booking was the “eStandby Upgrade® program” that Hyatt (and Marriott + others?) participate in. I’ve seen it a few times but always thought it to be gimmicky and never tried it. 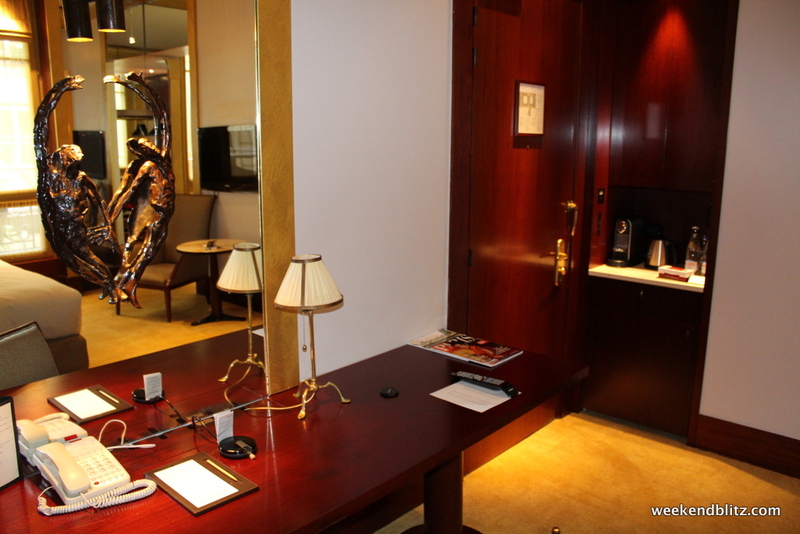 The minimum room upgrade offered was to a “Park Deluxe King” for 50 € (~$69), nothing that really interested me. 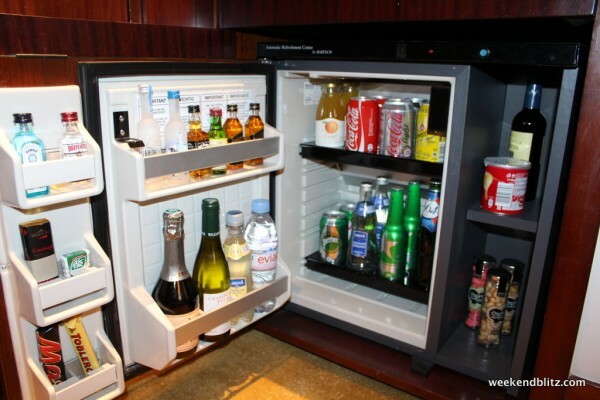 I did, however, impulsively click on the “Complimentary mini-bar” option for 25 € / night. I got an email about a week out: “We are sorry, but we are unable to confirm your eStandby Upgrade® for your arrival date.” No big deal. Given the past 2 things, we were pleasantly surprised at check-in when they delivered three great pieces of news: we had been upgraded from a “Park Queen” to a “Park Deluxe King,” the eStandby minibar request had been confirmed and, because it was our first time at the property, we’d be given free breakfast (more details to follow). It’s worth stating again that all of this was without having any status with Hyatt (just “member” status in the Gold Passport program). From here, we were led up to our room by the check-in agent and given a tour of all of the amenities (don’t you love hotel rooms that require a “tour” of all of the features?). 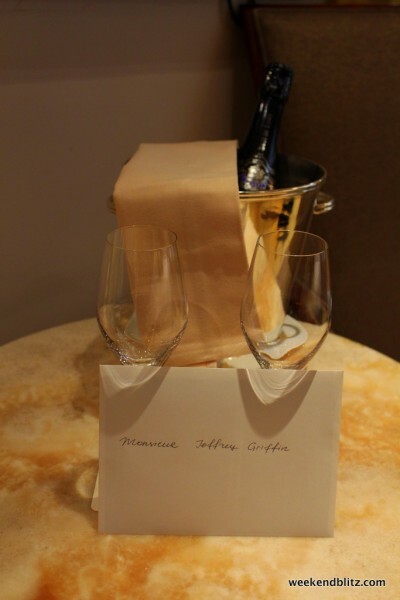 The bellman followed a few minutes after with our luggage. So, the rooms are pretty awesome, especially with the knowledge that it was free. If the Park Hyatt Vendôme were said to have a theme, that theme would be gold. 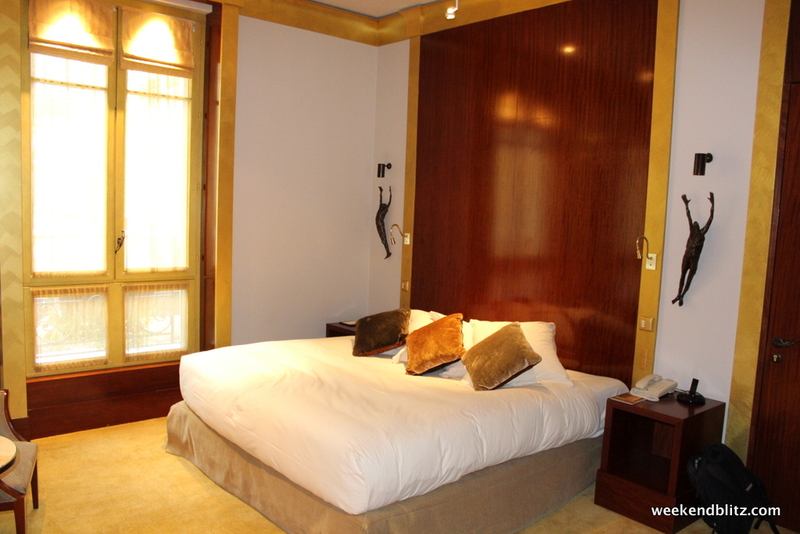 Most of these pictures had the flash on, which way overstates the brightness of the rooms and the property in general. Everything is very low lighting and the gold carpet, trim and dark wood spread all about tended to soak up what light was present. I wouldn’t say it was dark, but more elegant and stately. 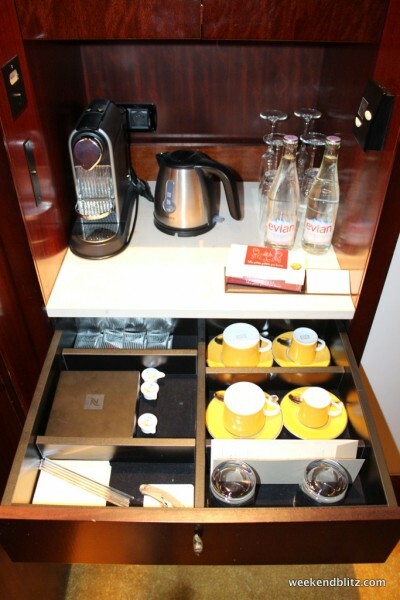 All rooms also have complimentary Nespresso, tea and Evian water. All empty Nespresso pods were gone and water refilled during turndown service and we were given extra water bottles. Free Nespresso pods? 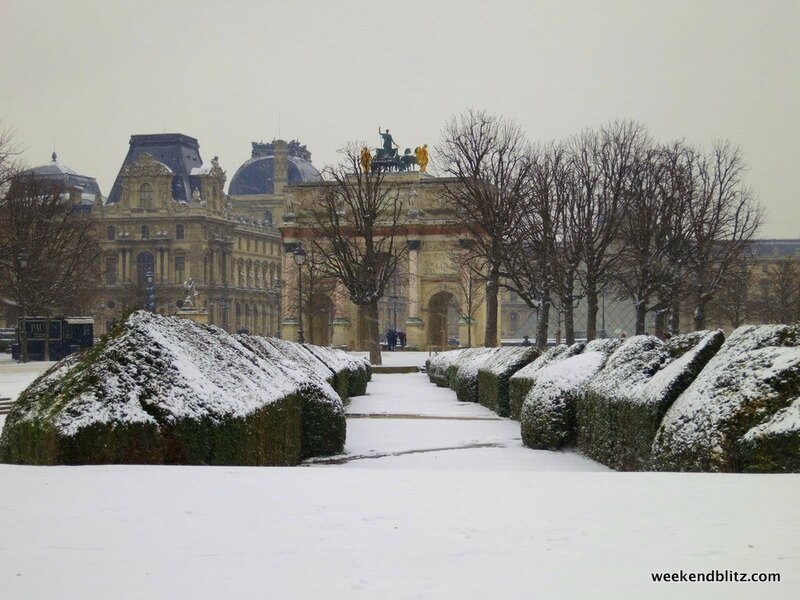 Why are you so good to me, France? 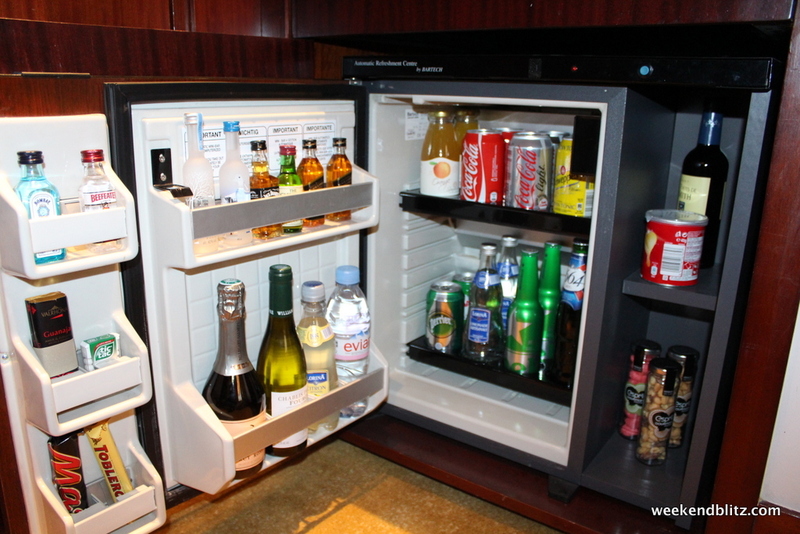 Complimentary water, juices, beer and wine. Everything but the food and liquor. Considering a beer will run you 7€+ in a large city like Paris, this isn’t a terrible deal at all for 25 €. 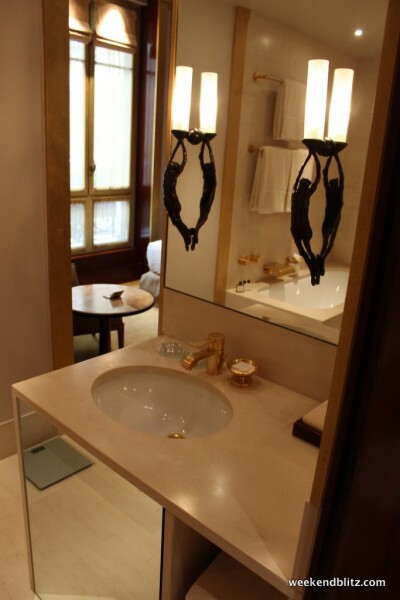 Just like the room, the bathroom is not spared any awesomeness. 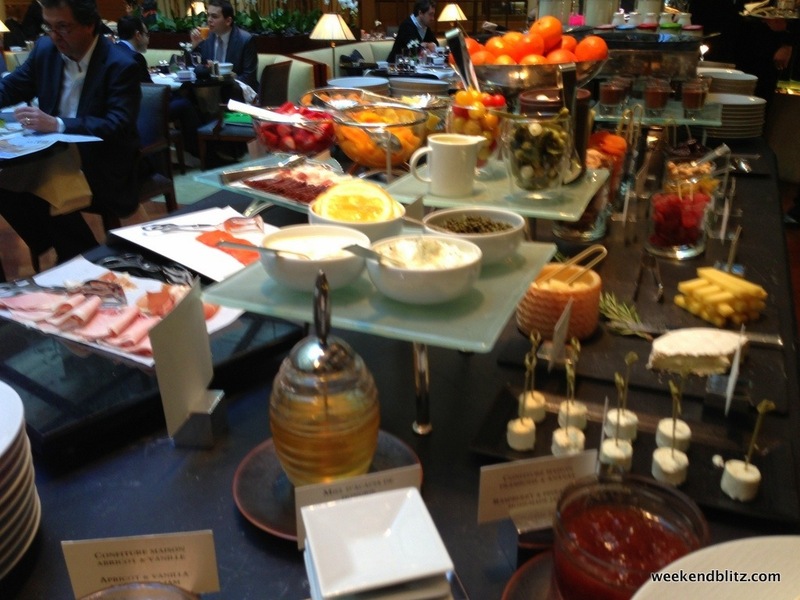 In reading reviews about the property, I had heard that the breakfast was first class but also enormously expensive– a 44€ charge per person (or ~$122 for the 2 of us) for the buffet. That is impossible to justify. 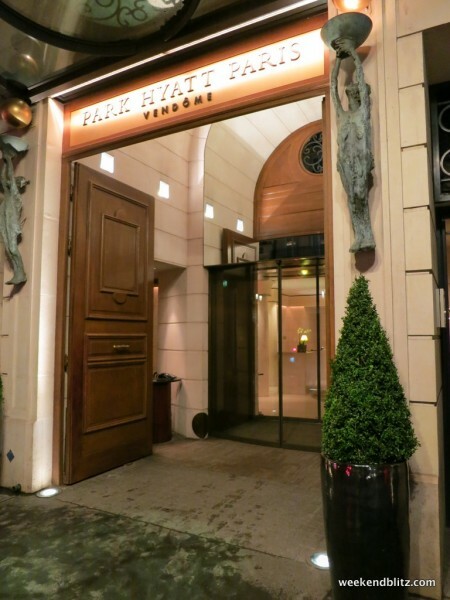 In addition to the rave reviews online, I had also read that people have had success in emailing the property that it is their first time staying at the PH Vendôme and often times would be offered complimentary breakfast. I didn’t bother with this but instead hoped the “Honeymoon” status might get us somewhere. Sure enough, when checking in, the agent offered us the breakfast buffet compliments of the hotel. They thanked me for being a Hyatt Gold Passport member and said that, because it was my first time visiting, they wanted to extend the offer of free breakfast at Les Orchidées. I was somewhat surprised. I know that it is standard for Hyatt Diamond members to get complimentary breakfast and maybe it would be extended to Hyatt Platinum members, but this was my first ever stay at a Hyatt and I had no status, just a Gold Passport account that I had opened a few weeks before so that I could transfer points and make the award booking. Again, the service was superb. 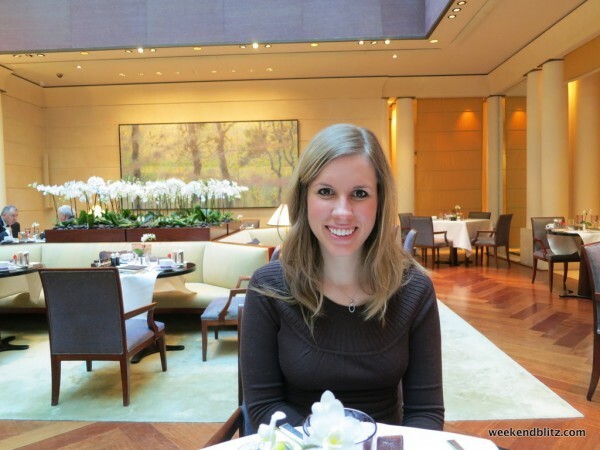 From the bellman to the front desk agent and onward to the wait staff at the restaurant, the Park Hyatt Vendôme provided 5 star service at every turn. Everyone showed superior attention to detail. 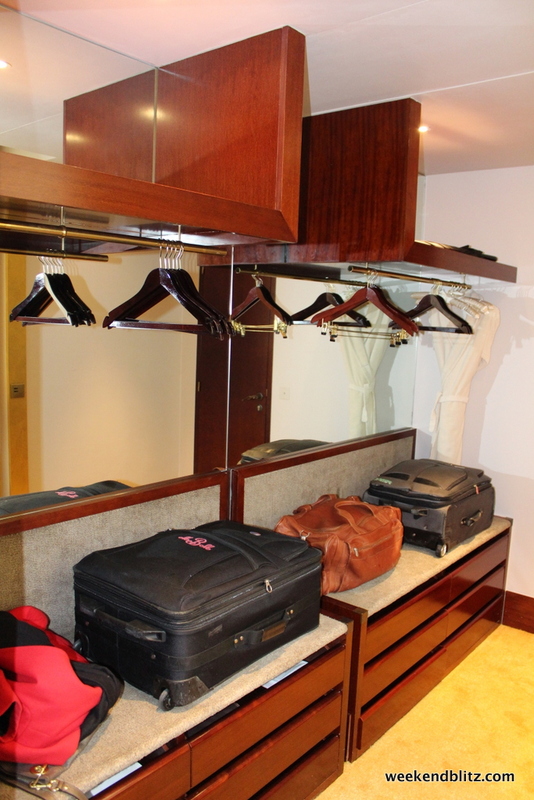 I guess when the typical guest is paying $1000+ USD/night, this should be expected. BOTTOM LINE: The Park Hyatt Vendôme remains the best value in points of any major chain in Paris. 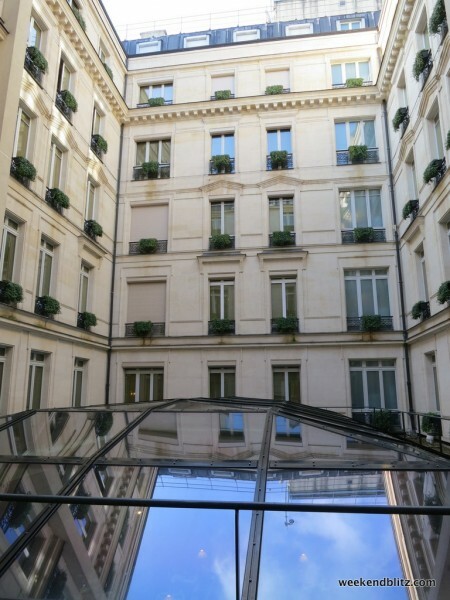 Couple this with a great location, world class service and quality and I can’t imagine staying anywhere else on a visit to Paris (especially on points).